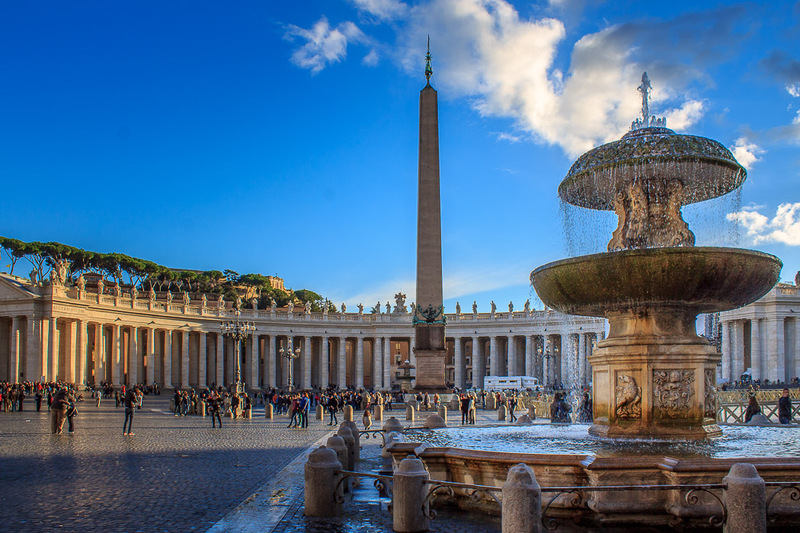 In 1667, 55 years after the Maderno Fountain, at the north side of St. Peter's Square, was built to replace the original fountain which stood there, Pope Clement X commissioned Gian Lorenzo Bernini to build a second fountain on the south side of the square to balance the square. Bernini closely followed the design of the Maderno Fountain in creating his Bernini Fountain, which was completed in 1677. During the fall of 2013, the fountain is covered while undergoing renovation. This makes at least 7 things that are undergoing renovation in fall of 2013, the other six being the Arch of Constantine, the Pyramid of Cestius, the Colosseum, the Triton Fountain, the Fountain at Villa Medici and the Fountain of Ponte Sisto. 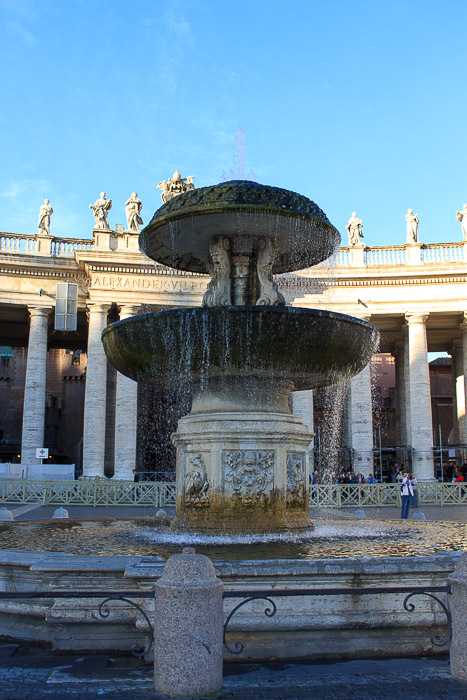 See all Bernini Fountain photos.